YES YET ANOTHER LOCAL ONE-OWNER BEAUTY . . . WAIT TILL YOU SEE THIS GORGEOUS CAR WITH ONLY 33,000 MILES AND ALL THE GOODIES . . . IT WILL CERTAINLY PUT A SMILE ON YOUR FACE AND YOUR HINEY WILL BE WARM WITH THE HEATED LEATHER SEATS / / / POWER SUN-MOON ROOF / / / CD PLAYER / / /BLUE TOOTH / / / MAG WHEELS AND MORE !! 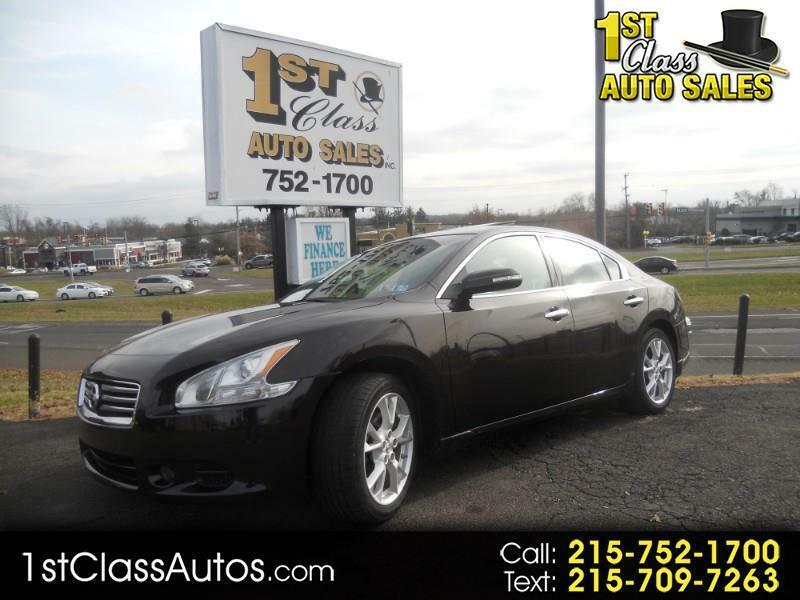 HURRY IN BECAUSE THIS CAR WITH THIS LOW MILES AND THIS EQUIPMENT IS SURLY GONNA SELL QUICKLY !!!! Message: Thought you might be interested in this 2013 Nissan Maxima.